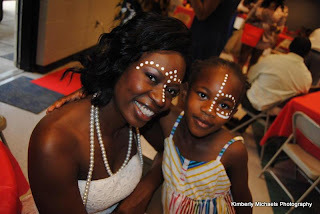 Finding sponsors wasn't the only concern I had for making The Queen in Me a success, I needed a venue, a photographer, caterer, a stylist, a make-up artist , a panel and someone to teach the attendees to create African Hair wraps. I have lived in Madison for only 5 years so I didn't have many connections but I did have friends on Facebook that did. I sent out a rescue me call and life vests were thrown from everywhere. The best referral was Kimberly Michaels. Kimberly and I had never met but she was a friend of a friend. I spoke with her originally about doing photography but she provided a lot more than pictures. I am a strong supporter of small business and Kimberly had two that would work perfectly for this event, Kimberly Michaels Photography & Alma's Grace. Over the course of three months, Kimberly would allow me to bounce planning ideas, rants of frustration and fear of failure with her. She survived my numerous emails, changes of menus and attempts of total meltdown. I'm not thanking her just because she became a friend but because she was also an amazing photographer and caterer. Every photo that I wanted & needed she got without hesitation, her demeanor was amazing and the attendees wanted to mingle with her. The food was perfect and she balanced both jobs seamlessly. I have found my event photographer and caterer, If you need one you should look her up too! Finally for this post, I want to introduce and thank Sharetta Keith of R.D. 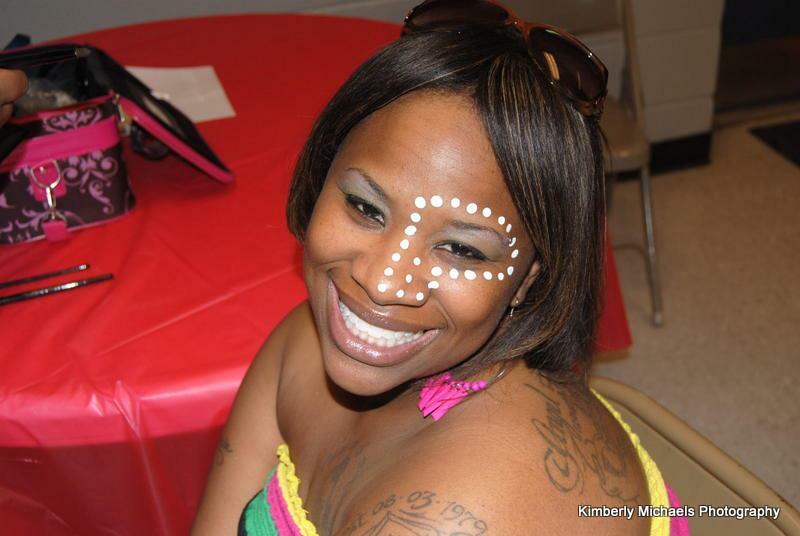 Make-up Artistry for agreeing to attend my event and provide the ladies of Huntsville a taste of African tribal artwork on their faces. My friend Val was kind enough to share my need of a MUA on her facebook page and Sharetta answered the call. She invited me to her home and we clicked right away. She created a beautiful design on my face & she shared her plans to do the same for my attendees. 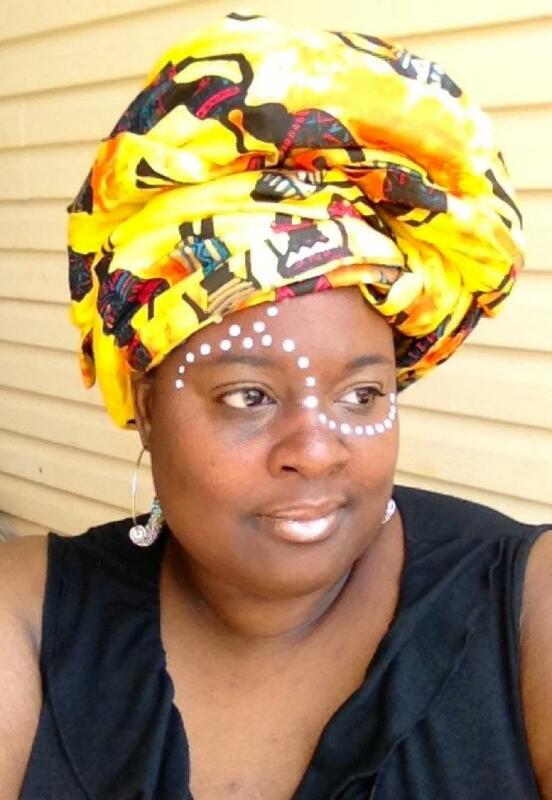 I left her home excited and ready to share the vision of The Queen in Me with everyone. Sharetta is also a natural hair mixtress and was kind enough to share one of her creations with me, I will share that with you in the very near future. The designs Sharetta created for the ladies and gentlemen at the event were beautiful! Each person took turns getting beautiful artwork displayed on their facial canvases. I thank you Sharetta for not just doing a service but creating a room full of masterpieces! Please check out R.D. 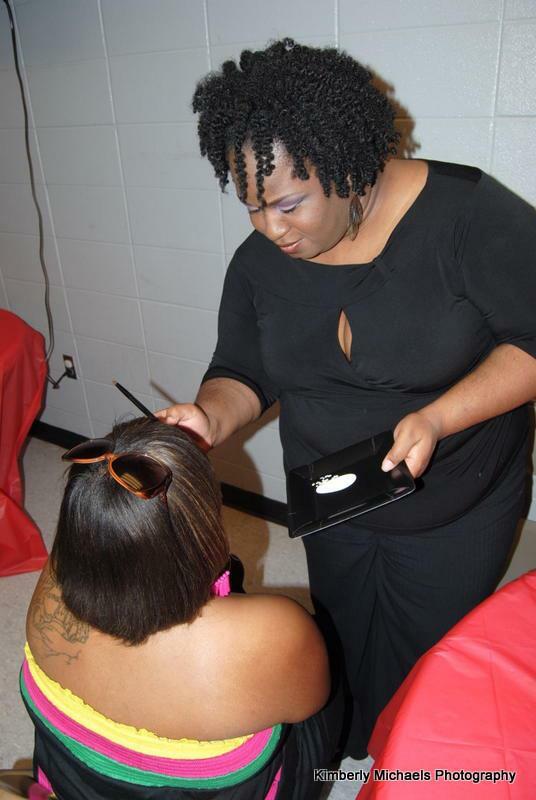 Makeup Artistry for all you MUA services, you won't regret it! 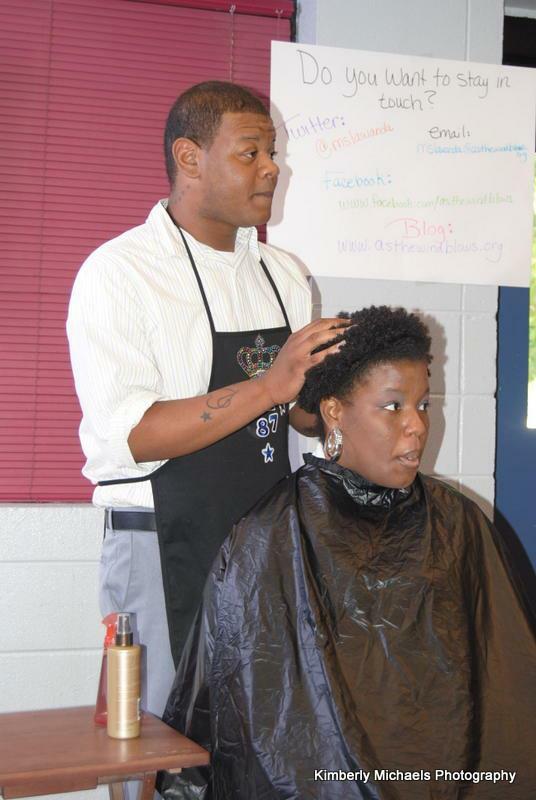 Did you enjoy the hair demonstration & artwork? Let me know what you think of this aspect of the event! Please leave your comments below. I will continue with part 3 of The Queen in Me -NNHMD event recap tomorrow!